Switches between programs from right to left. Switches the client between a window and full screen. Just minimize it. If you use WIN+L, it will just lock your local machine instead of your remote rdp session. good point vadim tho I mostly just wanted to do it for the coolness factor cause i'm using 2 screens. You can look but it's not possible. You cant lock the screen with a shortcut key in Windows 7 (not out of the box anyway). 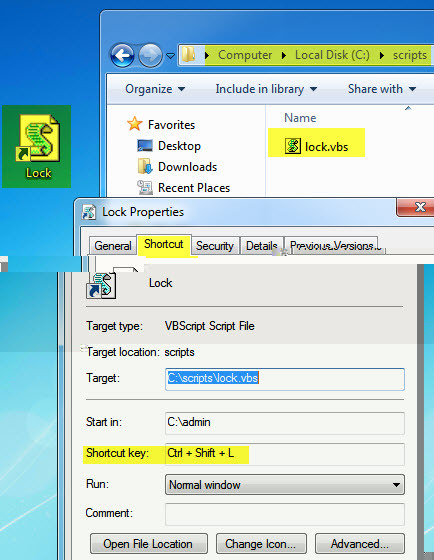 Step 1: Copy the following code into a txt file and rename it to LOCK.vbs. Personally copied the file to c:\scripts\lock.vbs however it can live anywhere. Dude that's awesome lol - nice find.